Jurlique Purely Age-Defying Firming Face Oil is a treatment oil designed to smooth wrinkles and lines and help even out the skin tone. The result is more luminous, radiant skin, which feels firmer and looks more even toned and hydrated. Features Jurlique's Age Repair Biodynamic+ Blend – a blend of blackcurrant seed oil, buriti oil and rock samphire extract – which helps to deeply replenish, improve skin tone, protect skin against environmental aggressors, support collagen and combat the visible signs of ageing. Made with 100% natural botanical and essential oils. Free from Parabens, PEGs, preservatives and artificial colours. To use, dispense 2-3 drops onto fingertips and gently press onto face, neck and décolletage until absorbed. Use morning or night. 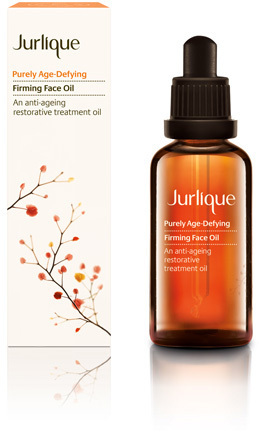 Jurlique Purely Age Defying Firming Face Oil is my favourite oil. The fragrance is nice and relaxing. So it must have lavender in it. The oil comes in a brown glass bottle with a dropper. The dropper is great for getting just a few drops and not wasting the product. I love that Jurlique has their own farm in South Australia. I am very happy to buy Australian Made. I received a sample of this recently from jurlique. I'm used to using rosehip oil but haven't used any jurlique oils before. I thought this was very good. A little of this goes a long way I'd say. I actually used a bit too much and it didn't all absorb or at least it took a while. It does give skin a nice glow and is very hydrating. I can't comment on its ability to firm skin as it was only a sample but i did like what it did for my skin in terms of moisturisation. All in all this is a very good product and perfect for anyone with dry skin needing a moisture boost. I've always been a bit apprehensive about trying a facial oil, but I've had lots of positive experiences with Jurlique in the past so thought I would give this one a go when I received a number of samples, particularly as I have very dry skin over winter. The oil is quite runny as you would expect, and has a mild and pleasant fragrance. It has a slight yellow-tint to it, which isn't noticeable on application. Unfortunately I found it really difficult to get the right amount for my skin (either too much or not enough) and then more often than not my skin felt oily for the rest of the day. Overall, my skin felt soft and smooth once the oiliness had worn off. After using for a number of weeks I was unable to see any noticeable difference in the appearance of fine lines or skin texture. Save for days you are not planning on wearing make-up (I found that my skin became too oily and make-up just slid right off), or alternatively apply at night. I'm in my mid-30s and I get the impression that this would be more suitable for more mature women. I have been using this oil for over a year and just love it. I am at the stage of my life where I find moisturiser just isn't enough and I need the added benefit of a serum/oil before moisturising.  I love Dermalogica Age Smart Overnight repair serum, what I don't like is the price. I went looking for an equivalent product with many of the same ingredients and found Jurlique. Not only are the ingredients list similar, with Jurlique you get an organic product, twice the amount and at half the price. I have very dry skin with patches and this is the only oil that has removed the dry patches completely and left me with smooth skin. My skin looks great, I have barely any wrinkles and have not noticed any new ones since the start of using this product over a year ago. For me there is nothing not to like. Apply on damp skin as it absorbs into the skin better. Add a few drops to your normal moisturiser before applying for a hydration boost. Jurlique Purely Age Defying Firming Face Oil is housed in an amber glass bottle with a dropper. The oil is yellow, but once it is massaged into the skin, it is colourless. Firming Face Oil has a scent that is so subtle that I barely noticed it. Sometimes the skin on my face is sensitive to fragrance (especially synthetic), and it lets me know this upon application of a product or a few pimples the next day. Firming Face Oil contains fragrance from natural essential oils, but I didn't experience sensitivity. I can appreciate why Lucrecia629 said that she didn't like Firming Face Oil because its first few ingredients (safflower oil, caprylic/capric triglyceride, sunflower oil, macadamia oil) could feel heavier on the face compared to something like rosehip oil. I have dry skin and I'm in my early fifties, so my face loves facial oils. I used Firming Face Oil on my face, neck and décolletage. I occasionally added a drop of Firming Face Oil to Jurlique Rose Moisture Plus Moisturising Cream (sometimes it didn't feel adequately hydrating). The 50 ml bottle of Firming Facial Oil lasted me quite a while. After using up the bottle, I have not noticed any reduction of wrinkles. The product contains retinyl palmitate, but it is at the end of the list of ingredients, so there probably isn't a high percentage of it. I also have not noticed any increased skin firmness. For that to occur, I think you'd have to have cosmetic procedures such as Thermage, laser, dermal fillers etc. The only benefit that I noticed was softer skin; and it was a different sort of softness compared to when I use rosehip oil. If Firming Face Oil feels too heavy on your face, you can use it on your neck and décolletage. I've used the traditional balancing face oil and also herbal recovery oil. They both worked really well. Thus I decided to give this age-defying oil a go considering its winter and I need more richness. Wonderful to hear that you are a fan of our precious facial oils. They have become somewhat of a cult favourite! We were sorry to hear that Purely Age-Defying Firming Face Oil was not suited to your skin. It is designed for a mature skin and so is rich with active extracts and nourishing plant oils. Perhaps Skin Balancing Face Oil, which is great for winter dryness, is more suitable? We would recommend that you visit a Jurlique Store to have your skin analysed by one of our professional Beauty Experts who will happily advise the best oil to achieve the results you are looking for. May I suggest that you use your Purely Age-Defying Firming Face Oil as a treatment oil for massage or underneath a facial mask once or twice a week for an intensive boost? If we can be of any further assistance please don't hesitate to contact our Customer Care line on 1800 805 286. Get a sample from the jurlique counter and use it for a week before buying the full size bottle. Cuticle oil - maybe, face oil - no way! I've used oils on my face before with great results, but this one is by far the worst I've ever seen. It's a very poor example of a face oil. This is a very thick, dark, almost sticky oil. I used it as directed and it makes my face feel as though it is literally coated in oil! My skin feels smothered. It is not pleasant at all. Even added to moisturiser, it's just too oily! I would massage this into my cuticles, but never again will I put it on my face. I can't think of a single beauty product I have ever hated, until now. If you think this oil is for you, ask for a sample packet first. It reads like it would be really good, but in my opinion - epic fail! Available at Jurlique concept stores, Myer, David Jones, selected pharmacies and online at www.jurlique.com.au.